Ray Pierce is a Director of Research at the CNRS (Centre National de la Recherche Scientifique) working at the Centre for Infection and Immunity of Lille on the Pasteur Institute of Lille campus. Developing from initial studies on gene transcription and transcription factors in Schistosoma mansoni, his recent research has focused on the epigenetic processes of schistosomes and other parasites as drug targets. 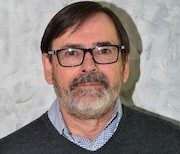 He has coordinated two EC-funded collaborative projects, involving teams in Europe, Brazil and Australia, which have developed small molecule inhibitors of histone modifying enzymes as candidate drugs against parasitic infections.